Lake Harriet Park	The picturesque park offers a variety of lakeside activities and summer concerts at the stunning band shell. 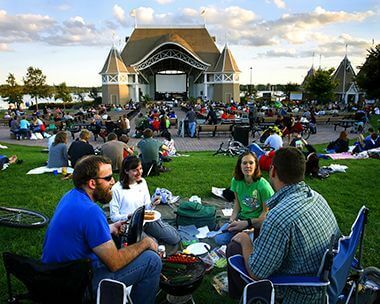 Picturesque Lake Harriet Band Shell is the signature venue for the Minneapolis Music and Movies in the Parks concert series. Name: Lake Harriet was named for Harriet Lovejoy, wife of Colonel Henry Leavenworth, who founded Fort Snelling in 1819. Lake Harriet was at the center of park plans from the time the park board was created in 1883. Less than two months after Minneapolis voters approved the legislation that created the park board for the city, the board voted to acquire a strip of land 200-feet wide encircling Lake Harriet. 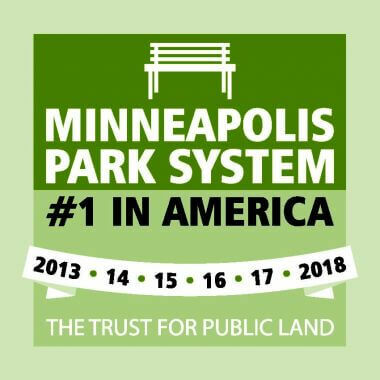 The only park plans that were given a higher priority by the first park board were the acquisition of a park for each section of the city: Farview Park in north Minneapolis, Logan Park in northeast, Loring Park in south Minneapolis, and Riverside Park along the Mississippi River downstream from St. Anthony Falls. Once the board had set in motion the purchase of those lands—a politically shrewd move to distribute parks throughout the city—it turned its attention to the lakes. Preservation of the city’s lake shores and river banks had been a primary motive of Chicago-based landscape architect Horace Cleveland, who had campaigned for years for Minneapolis to establish parks. The desire to create a park around Lake Harriet was evident in the state legislature when it passed a bill in February 1883 to create the park board; the same day the legislature extended the boundaries of the city to include Lake Harriet. 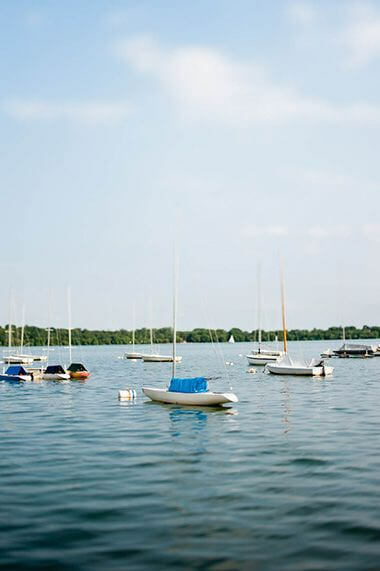 Lake Harriet was perceived to be the gem of the city’s lakes, largely because of its well-established shoreline. Surrounded by hills, the lake had much less swampy shore line than other bodies of water in the city. In the first overall plan created for Minneapolis parks in June 1883, Horace Cleveland’s “Suggestions for a System of Parks and Parkways,” commissioned by the park board, showed a parkway completely encircling Lake Harriet. In contrast, he proposed a parkway only along the west shore of Bde Maka Ska. He didn’t mention Lake of the Isles at all. Near the end of 1884, however, three property owners around the lake, Henry Beard, James Merritt and Charles Reeve, came to Loring with an offer to donate most of the Lake Harriet shore to the park board. The park board accepted the offer, which left only about a quarter-mile of shore on the south side of the lake to acquire by condemnation. But very little in the early days of the park board ended up being easy. In 1885 a court ruled that some of the land around the lake didn’t belong to Beard and the others, that the rightful owner was William King. This was the same William King who had been instrumental in creating and passing the legislation that had created the park board. (See Lyndale Park and King’s Highway for more on King.) Years earlier he had offered to sell part of his farm encompassing Lake Harriet to the city as a park—an offer that was declined. With the title to the land returned to King (Beard and the others were not implicated in the expropriation of the land from King), King confirmed the donation of the other men. “Thus the board had become possessed, without cost,” Loring wrote in the 1885 annual report, “as to the greater part of the land of the entire area of Lake Harriet.” By late 1885, the park board began construction of Lake Harriet Parkway, which was completed in 1886. With the acquisition of Lake Harriet, the park board, and Charles Loring in particular, began a campaign to convert the other nearby lakes in southwest Minneapolis into parks and to extend park property down Minnehaha Creek from Lake Harriet to Minnehaha Falls. Lake Harriet proved to be the anchor for the growth of the Minneapolis park system, and for the transformation of Minneapolis’s identity into the “City of Lakes.” The acquisition of Lake Harriet, largely by donation, also established a precedent that was followed in the acquisition of Lake of the Isles, and much of Bde Maka Ska and Minnehaha Creek. Curiously, however, despite reporting at the time of the donation by Henry Beard of some of the land near the lake, in 1888 the park board paid Beard about $8,000 for some of his property. It is not clear if that payment was for the land that became known as Beard Plaisance west of the lake, or for the land that became Linden Hills Parkway, all of which Beard had owned. Lake Harriet became a popular boating and picnicking spot almost immediately, aided by the Minneapolis Street Railway Company. The company’s track extended to Lake Harriet and to increase ridership the company built an entertainment pavilion in 1888 on private land adjacent to park property west of the lake where the company offered concerts. At that time the board leased a concession to rent boats on the lake, but in 1889 took over boat rentals itself. The next year, 1890, park land in the Lake Harriet area expanded significantly with the donation by the Lakewood Cemetery Association and William King of Lyndale Park and the purchase of Interlachen (William Berry) Park between Bde Maka Ska and Lake Harriet. When the street railway’s private pavilion burned down in 1891, the park board and the company agreed to build a new pavilion on the shore of the lake on park property. The railway company would pay for the pavilion, and provide entertainment, in exchange for a portion of the park board’s boat rental income. 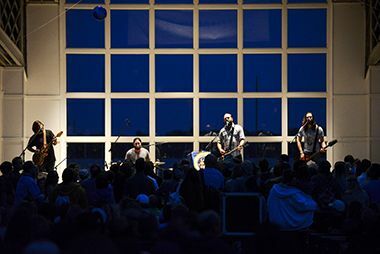 Both sides benefitted from the arrangement: the park board provided entertainment on one of its premier properties and earned more in boat rentals if people came to the lake for concerts; the railway company increased its ridership by offering concerts. (The park board had more than 170 rowboats and three sailboats in its rental fleet at Lake Harriet in 1892. In 1894 the park board issued its first permits—for $2.00 a year—for people to keep their own boats at the lake, a practice that continues today for sailboats.) The new pagoda-style pavilion, designed by Minneapolis architect and park commissioner Harry Jones, opened in 1892. The park board had a ten-year agreement with the street railway company to provide concerts at the pavilion and that contract was extended for five years in 1901. Unfortunately in 1903 the pavilion burned down. By this time, with more residential development near the lake, the street railway company didn’t need the inducement of concerts to get people to ride the streetcars and the company contributed the $15,000 it received in an insurance settlement on the old pavilion to the park board to build its own pavilion. 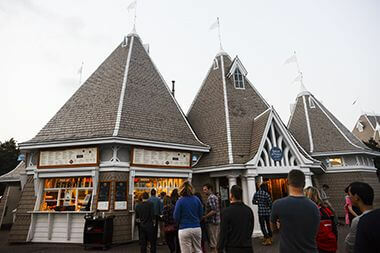 With another $15,000 loaned to the park board by an association of Minneapolis retailers, the park board built a new pavilion, also designed by Harry Jones, in 1904. The new pavilion extended out over the water and its roof provided an open-air concert venue. Lake Harriet was known as much more than a boating and concert lake, however. During the bicycle craze of the 1890s, the park board built a bicycle path around the lake. The configuration of the paths around the lake in 1896 was almost identical to today: a walking path nearest the shore, then a bicycle path and finally the parkway, which of course at that time was built only for horses and carriages. Bicycles were so popular that when the park board built an enclosure for people to check their bikes at the lake while they boated, or attended concerts, the facility was built to hold 800 bicycles. Shortly after the publication of his plan, however, Wirth told the board in January 1907 that reshaping the Lake Harriet shore would be difficult. More difficult, he said, than the dredging he had proposed at Lake of the Isles to fill in the wetlands on the west side of that lake. Part of the plan for Lake of the Isles was also to open a channel to Bde Maka Ska, which had been desired for many years. Wirth later also presented plans for a possible channel from Bde Maka Ska to Lake Harriet, but those plans were never pursued, in part because the surface of Lake Harriet was seven feet lower in elevation than Bde Maka Ska and a channel would have required locks to make it navigable. Thus the park board shifted its focus from Lake Harriet to Lake of the Isles and then Bde Maka Ska. Wirth never was satisfied with the pavilion at Lake Harriet, however. He proposed replacing the pavilion many times over the next two decades, even after the pavilion’s pilings in the lake were replaced in 1912 and the pavilion was renovated and rearranged by Harry Jones in 1913. In 1912 the park board also built a waiting station at the platform for the street railway at 42nd Street. The waiting station was designed by Harry Jones to resemble a Swiss chalet. Finally in 1923, the park board approved building a new pavilion at Lake Harriet, but with many other projects then in progress, construction of the new pavilion was delayed. A severe storm in 1925 forced the park board’s hand. What some called a tornado leveled the old pavilion and two people died in the wreckage that summer. The next year a temporary bandstand was built to the east of the old pavilion, at a cost of $4,000, so the park board could continue to provide concerts at the lake. That temporary facility lasted 60 years, until it was replaced with the current bandstand and stage in 1986. Designed by Milo Thompson, the 1986 bandstand was the first oriented to provide the audience views of the lake while it listened. Costs had risen dramatically in the intervening years. 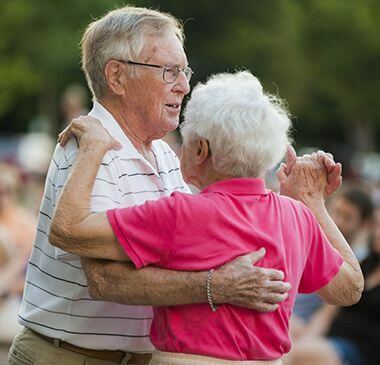 The price tag for the new bandstand, a vast improvement over the one that had lasted so long, was $5.5 million. During the Great Depression and Word War II few improvements were made to the park at Lake Harriet. The only work done was by federal work relief crews, most notably the construction of a shorewall on the northwest shore of the lake in 1939. Street cars, such an important part of the lake’s history as a park, were reintroduced to the Lake Harriet landscape when, in 1969, the park board approved a request by the Minnesota Transportation Museum to restore the rails and street car service at Lake Harriet. The street cars still operate from the site of the old street car station near the bandstand through William Berry Park. Lake Harriet Parkway was given a permanent pavement, for the first time, in 1977. 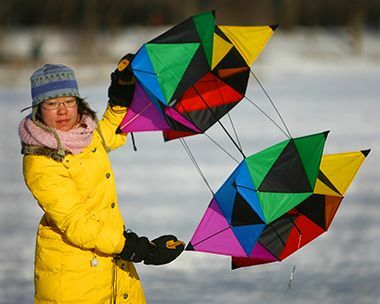 The Lake Harriet Winter Kite Festival was first celebrated in January 2002. The event includes kites of all shapes, sizes and colors and a number of family-focused winter activities. A picnic shelter was built near the band shell and concession stand in 2007. In 2008-2009, with financial assistance from People for Parks, the band shell sound system and seating were upgraded, and permeable pavers were installed in the seating area. 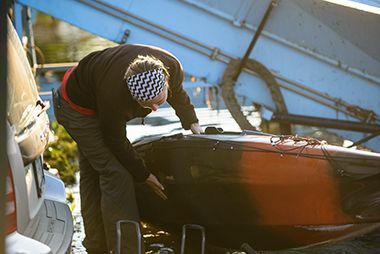 In June 2012 the park board adopted emergency measures to prevent the spread of aquatic invasive species (AIS) to Minneapolis lakes. Since those measures were enacted, all boats entering Lake Harriet on a public launch are required to pass an AIS inspection. In 2013, a Nice Ride bicycle rental kiosk was installed near the band shell. Sturdy, three-speed, lime-green bikes are available to rent from the non-profit “bike share” company for short-term trips April through October each year, weather permitting. 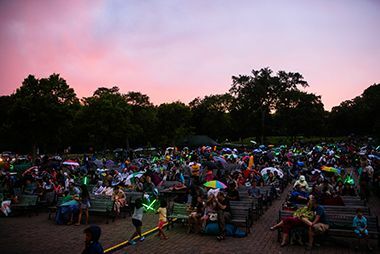 President Barack Obama became the second president to make a public appearance at a Minneapolis park when he gave a speech to an audience numbering in the thousands at the Lake Harriet Bandshell on June 27, 2014. The day earlier he hosted an invitation-only town hall meeting at Minnehaha Falls. The first mention of a park hockey league was in 1914 when the board reported that the league played on a lighted rink on Lake Harriet. In that year the park board also questioned whether it was wise to continue to operate the toboggan slide it had built in 1912 from the west bank of the lake at Queen Avenue out onto the lake. Despite precautions, Wirth wrote, several injuries had been incurred at the slide resulting in lawsuits. Also in 1914 the park board replaced the bicycle path around the lake with a bridle path. Several park commissioners were avid horsemen and the popularity of bicycling had declined dramatically. For a few years in the early 1960’s the park board’s speed skating track, which had been operated for decades at Powderhorn Lake, was moved to Lake Harriet. In 1963 the United States Olympic speed skating trials were held at Lake Harriet, and local skaters Tom Gray and Marie Lawler were selected for the Olympic team. A few years later the track was moved to Lake Nokomis. 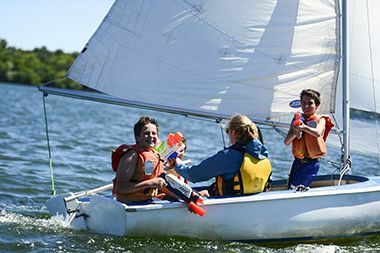 Have fun learning the basics of sailing through our adult and youth sailing lessons. 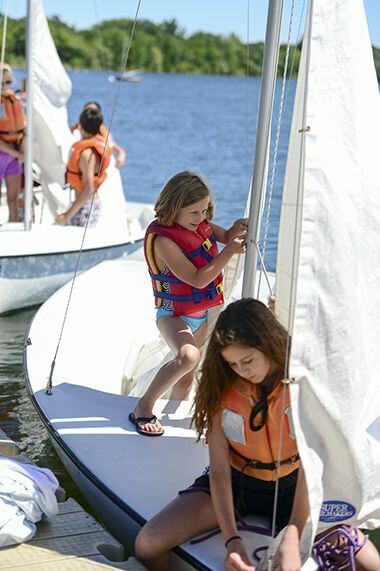 Apply for an annual sailboat buoy permit and sign up for summer sailing lessons. 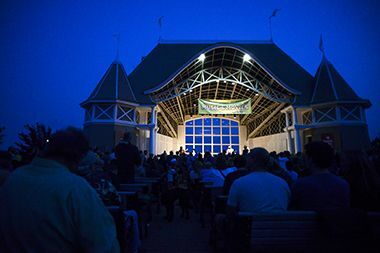 The present Lake Harriet band shell, built in 1986, was the fifth built on the site, but the first to provide views of the lake for the audience. 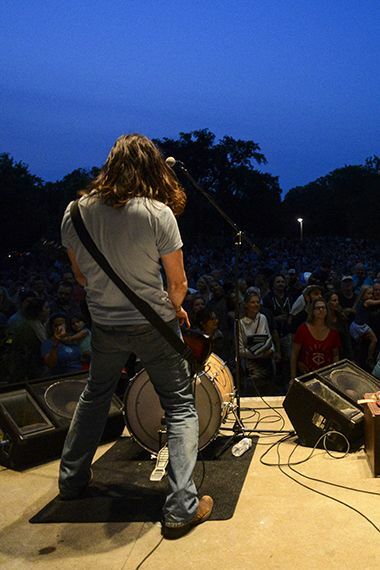 Lake Harriet hosts outdoor daily concerts at the band shell each summer. We offer boat and canoe launches and canoe racks throughout the park system. 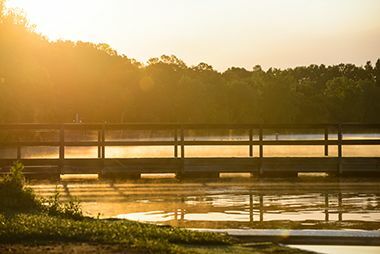 Whether you walk, run, or ride, paved trails around the lake offer spectacular views all year long. Located at the Pavilion, Bread & Pickle offers sandwiches, coffee, and breakfast. Bring the entire family out for the annual Kite Festival at the north end of the lake near the band shell. The fishing pier is located east of the canoe storage racks. 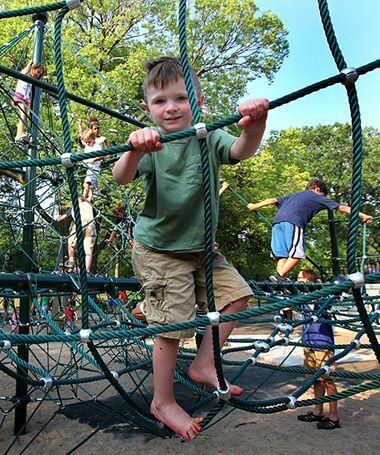 Nature-themed equipment for children ages 2–5 and 5–12 includes slides, climbers, swings, and a water play feature. 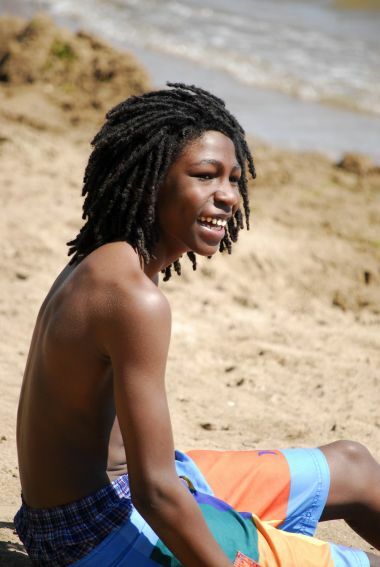 Summertime fun awaits at the North and Southeast beaches.